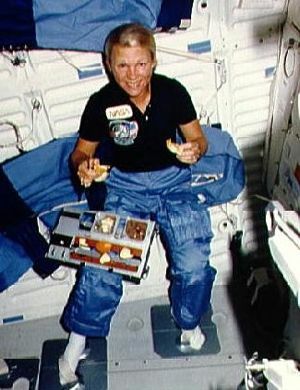 First politician in space. 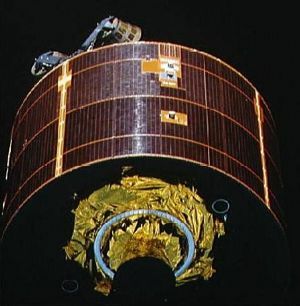 Deployed Telesat-I (successful) and Syncom IV-3 (motor failed). Inboard right-side brake locked on landing, resulting in severe damage. Senator aboard resented, and had one of the worst cases of space sickness ever recorded. AKA: Discovery. Launched: 1985-04-12. Returned: 1985-04-19. Number crew: 7 . Duration: 7.00 days. 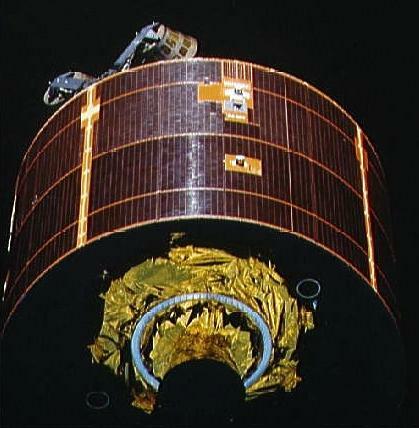 Payloads: Telesat (Canada communications satellite)-I with Payload Assist Module (PAM)-D deployment, Syncom IV-3 communications satellite deployment with its unique stage (unique stage failed to ignite), Continuous Flow Electrophoresis (CFES), Phase Partitioning Experiment (PPE), student experiments, two getaway specials (GAS) Informal science studies (Toys in Space). Orbits of Earth: 109. Distance traveled: 4,650,658 km. Orbiter Liftoff Mass: 113,802 kg. Orbiter Mass at Landing: 89,816 kg. Payload to Orbit: 16,249 kg. Payload Returned: 6,009 kg. Landed at: Runway 33 at Kennedy Space Center, Florida. Landing Speed: 370 kph. 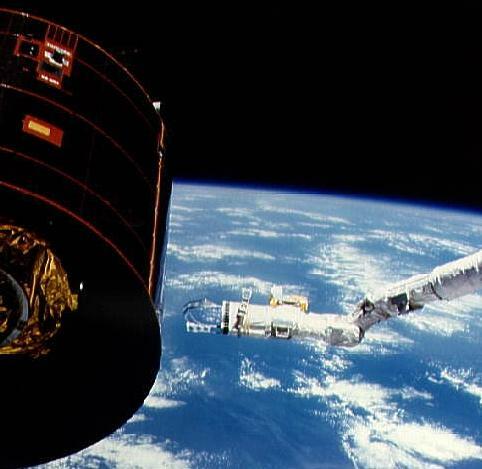 Touchdown miss distance: 499 m. Landing Rollout: 3,179 m. EVA: Jeffrey Hoffman and David Griggs, duration, 3 hours, 10 minutes. 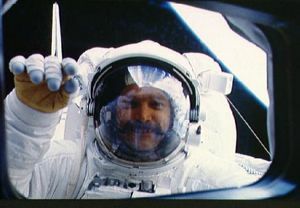 Family: Manned spaceflight. People: Bobko, Garn, Griggs, Hoffman, Seddon, Walker, Williams, Donald. Country: USA. Spacecraft: Discovery. Projects: STS. Launch Sites: Cape Canaveral. Agency: NASA, NASA Houston. 1984 April 16 - . 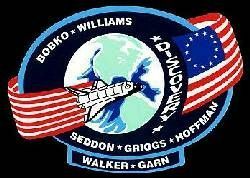 STS-51-D - Wakeup Song: Top of the World - . 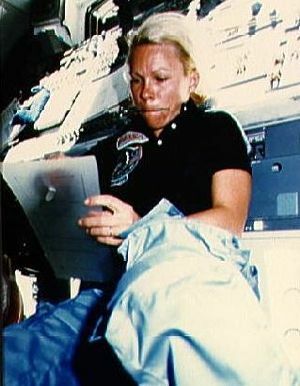 Flight: STS-51-D. "Top of the World" by The Carpenters. 1984 April 17 - . STS-51-D - Wakeup Song: Rescue Aid Society - . 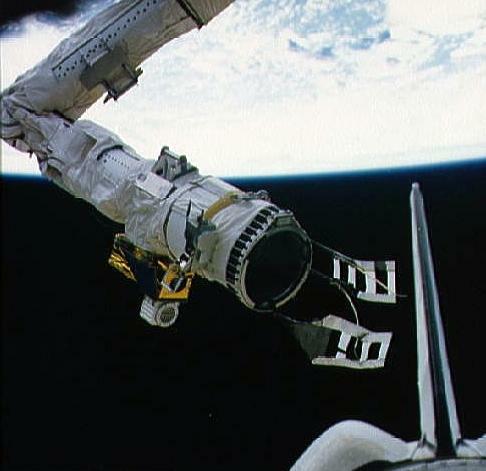 Flight: STS-51-D. "Rescue Aid Society" from the Disney film,"The Rescuers"..